This weekend I was off gallivanting at IFA, the mahoosive technology trade show in Berlin, thanks to Panasonic UK who had lots of shiny things they wanted to show me. 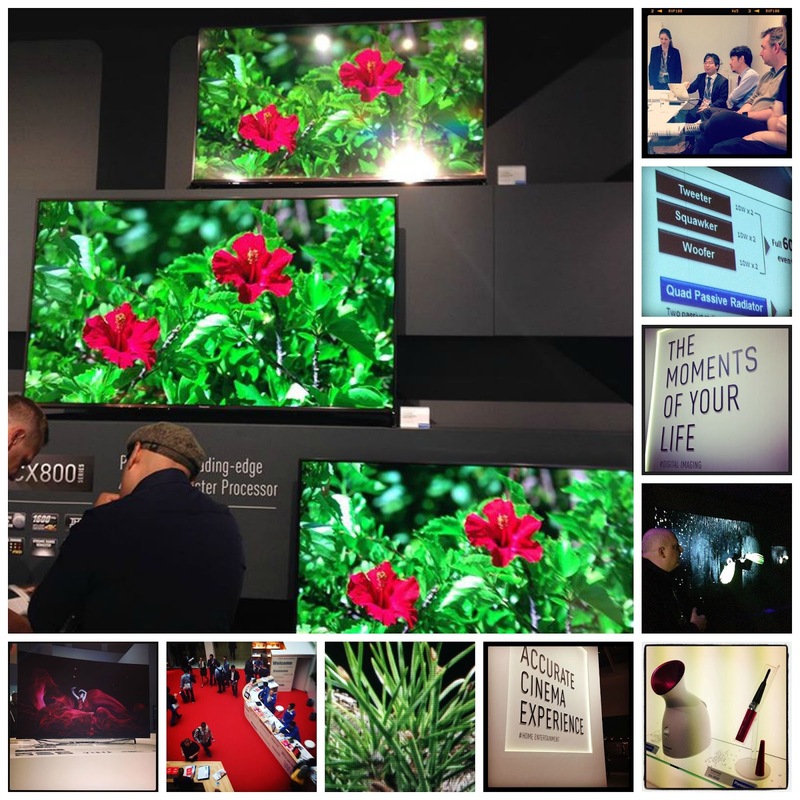 If you've never heard of IFA (Internationale Funkausstellung) before then let me tell you that it is Europe's showcase for consumer tech - from washing machines to smart watches, from digital cameras to showstopping televisions. And by show-stopping, I mean the sort of television whose picture literally takes your breath away. I was at IFA last year to see the current range of Panasonic Viera 4K televisions on show and was impressed but this year Panasonic are launching their first consumer OLED television and it is a beautiful, beautiful thing. Blacker blacks, brighter brights and stunning colours you can't see on any other TV screen on the planet. 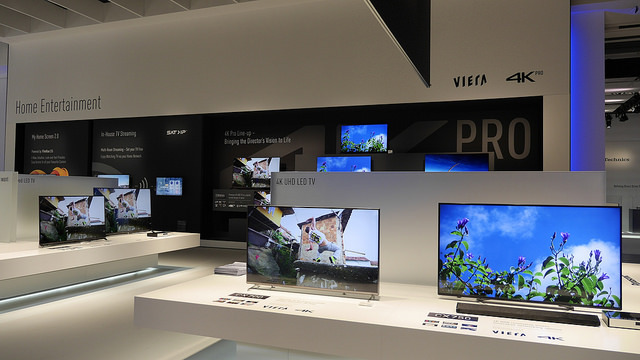 Clearly the new 65 inch CZ950 is going to be a bit beyond many people's budget (and let's face it, we don't all need our TVs to be backed with suede-effect fabric) but the good news is that 2015 sees the inclusion of Panasonic's 4K Pro technology on the wider Viera range. I'd predict that, within a couple of years, 4K content will be widely accessible and 4K TV's will be the norm, whatever your TV budget. 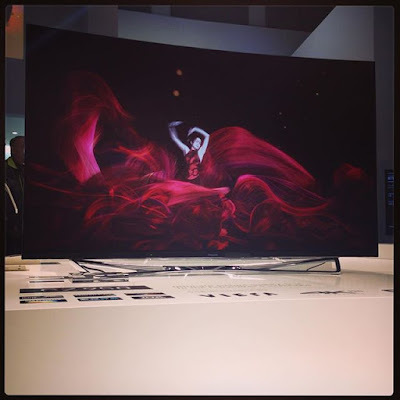 At IFA I got the chance to hear from the Japanese engineers whose role is to ensure that Panasonic's TVs represent your 4k Ultra-high definition movies and TV programmes in exactly the way that the director originally intended them to be. Hearing the lengths that they go to in order to make sure that each pixel on the screen does exactly what it needs to was, quite simply, astonishing. Elsewhere on the mind-bogglingly huge Panasonic booth I spied the Nubo compact 4G portable video camera (perfect as a portable baby monitor), pink-trimmed nose-hair clippers (one of life's essentials? ), and the impressive new Panasonic IPL hair reduction device (now this really is a life-changer). Keep your eyes peeled for new, smarter bread makers and the dawn of the "slow" juicer.